Drywall Repair: Call Drywall Specialist for top-notch repair and restoration work. Years of professional drywall repairing and restoring experience. 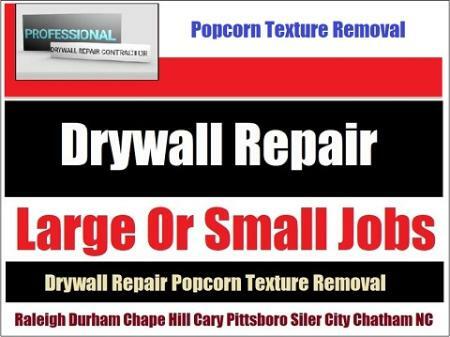 Afforable prices, free local estimates on large or small repair jobs in Durham, Chapel Hill, Cary And RTP.